Rise and shine, it’s graduation day! For a virtual convocation like that at San José State University’s iSchool, I didn’t have to find comfortable shoes or clothes that wouldn’t cause me to broil underneath a graduation gown. Professional conferences are a great way to get to know people and expand your professional horizons. Learn when, where and how you can attend. Rebecca Leung is in her final semester at the iSchool. Here’s a glimpse into a day in which she goes to work at the Bay Area Video Coalition. Congratulations—you’ve decided to go to graduate school! This is the first step in an adventure that will change your life. While there are a few more steps to go in the application process, none of them are as significant as the decision to apply. 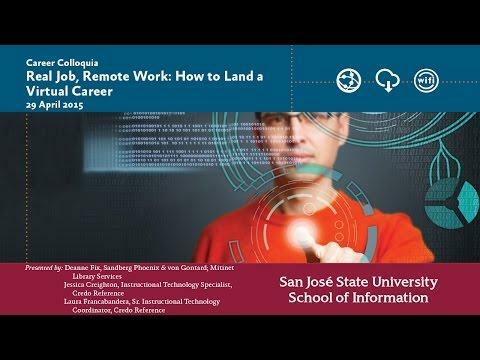 Have you been daydreaming of that perfect job, even while you’re trying to get into the groove of the SJSU iSchool’s new semester? I’m not that far from graduation, so I’ve not only been daydreaming, but polishing up resumes, posting applications and practicing for interviews. 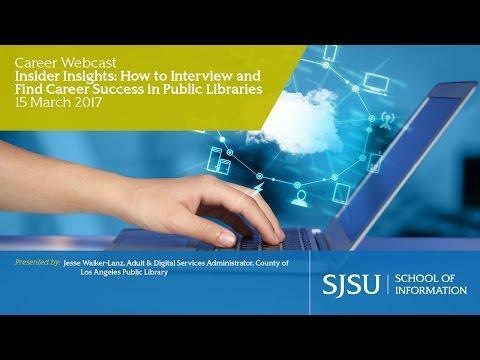 If you’re not quite sure where you’re going with this MLIS or MARA degree, or even if you’re in one of the SJSU School of Information’s certificate programs then pack your virtual bags and take a tour around the iSchool’s website. One of the best things about the SJSU School of Information is that even while you’re learning in your pajamas and slippers, you’re not learning alone. Once you graduate, thanks to the skills you’ve acquired from the iSchool, you don’t stop learning, either. 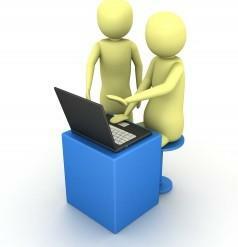 Through a variety of courses and resources, you can set up a personal learning network (hereafter referred to as a PLN). Whether you’ve just started your course work at San José State University’s iSchool or you’re rounding the corner toward your final semester, you should be planning for your e-Portfolio. As the semester is winding down (or is it winding up? I’ve got a lot of work to do!) 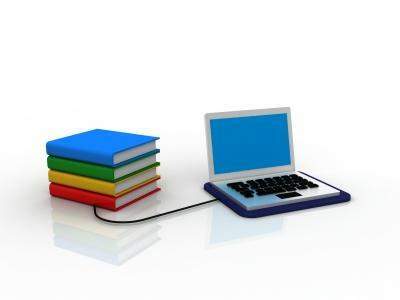 many SJSU iSchool instructors require a big research paper as a final project. This can be a daunting proposition. Fear not, there is help! School of Information instructors and SJSU student publication editors have collaborated to provide you the best tips, advice and resources to make that final research paper a success. 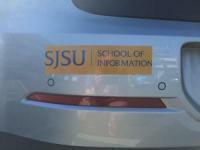 SJSU’s School of Information faculty members are experts in their fields and hail from all over the United States and Canada. Just like you, they look forward to the beginning semester and want to get to know you, share their knowledge and expertise and challenge you to meet your full potential. To celebrate and get off to the right start, we asked some iSchool faculty to share their top tips for success in your graduate studies. Over the years, I’ve written to new fall and spring students as they embark on this grand adventure known as SJSU School of Information’s fully online program. The very first introduction to our journey is good old Info 203. This summer season is an explosion of information logos for the awesome-est, most fun graduate school program in library and information science ever! The SJSU School of Information is excited to introduce its new Advising pages on the iSchool website. The website advising pages and Advising Portal are like a road map, trip planner and guidebook for your journey through grad school. New and current students alike now have direct access to advisors, Content Specialists and a whole bunch of planning tools to help them navigate their graduate school experience. 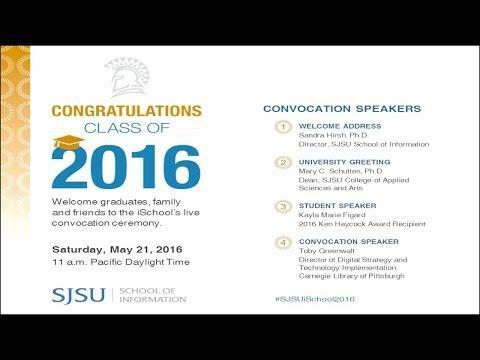 San José State University’s School of Information honored its August and December 2015 and May 2016 graduates on Saturday, May 21, 2016.